There is more than one approach. Many of us would love to improve our appearance, but don’t have either the time or the inclination to have cosmetic surgery. Fortunately, there are things that we can do to make amazing changes without surgery or a recovery period. 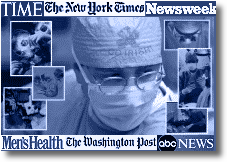 Non-invasive treatments as well as classic surgeries are Dr. McNamara's common domain. His practice dedicated exclusively to the face encompasses the latest healthy techniques, modern safe procedures with quick recoveries and 'natural results'. For additional information on procedures currently not listed you may contact our office. Facelift - After years of exposure to the effects of gravity, the elements, and the stresses of daily life, signs of aging in the form of wrinkles, sagging skin, and laxity in the jowls can be seen in the face and neck. A facelift, or rhytidectomy, can make you look younger and fresher and may enhance your self-confidence in the process. Eyelid Surgery - Drooping eyelids and bags under the eyes can often give you an older more tired appearance. Eyelid surgery, or blepharoplasty, is a procedure that removes excess fat and usually skin and muscle from the upper and lower eyelids. Browlift - Wrinkles and frown lines often first appear in the brow and forehead area. A forehead lift, browlift, restores a more youthful, refreshed look to the area above the eyes. The procedure corrects drooping brows and improves the horizontal lines and furrows that can make a person appear angry, sad or tired. Nose Surgery - The size and shape of your nose is considered by many to be the most defining part of your face. A nose job, or rhinoplasty, can reduce or increase the size of your nose, change the shape of the tip or bridge, narrow the span of the nostrils, or change the angle between your nose and your upper lip. It may also correct a birth defect or injury, or help relieve breathing problems. Lip Enhancement - Lip Augmentations have become increasingly popular in recent years. Aging lips means thinning of the lips. Fillers are a good choice for re-establishing shape and definition to the lips. Facial Implants - Plastic surgeons use facial implants to improve and enhance facial contours. Frequently, these implants will help provide a more harmonious balance to your face and features so that you feel better about the way you look. Laser Resurfacing - In laser resurfacing, sometimes called "laser peel", a carbon dioxide (CO2) laser is used to remove areas of damaged or wrinkled skin, layer by layer. Other laser types may be used for targeting different desired goals. Juvederm/ Restylane/ Radiesse - As we age, our faces begin to show the effects of gravity, sun exposure and years of facial muscle movement, such as smiling, chewing and squinting. The underlying tissues that keep our skin looking youthful and plumped up begin to break down, often leaving laugh lines, smile lines, crow's feet or facial creases over the areas where this muscle movement occurs. Soft-tissue fillers, most commonly injectable Hyaluronic Acid or Calcium Hydroxyapatite, can help fill in these lines and creases, temporarily restoring a smoother, more youthful-looking appearance. Facial Peels - Facial peels are used to reduce wrinkling, especially that which is associated with sun damage, acne scars, other blemishes, and areas of uneven skin pigmentation. They are achieved by either chemical (including glycolic acid, trichloroacetic acid, phenol), mechanical (dermabrasion, microdermabrasion) or laser applications. Botox - Botox is one of the most popular cosmetic "mini-treatments" today. This procedure is very effective for crow's feet, frown lines and forehead wrinkles. Botox can be done on a lunch break and requires no anesthesia or recovery. Overall, the vast majority of patients love this "quick fix" and return for a Botox boost as soon as the wrinkles begin to reappear! Fat Augmentation - One of the biggest breakthroughs in plastic surgery and anti-aging is to add soft tissue fillers (such as one’s own FAT) back to some areas of the face to “re-Volumize the face”. Soft tissue augmentation with fat agumentation is often conveniently done in conjunction with other Facial Cosmetic procedures. Soft tissue augmentation methods whether FAT or other commercially available Fillers (such as Juvederm, Restylane, Radiesse, etc) are capable of Volumizing (restoring volume) to most any area of the ageing face. The GOAL of these soft tissue techniques is to enhance or improve lost definition in one’s face which is often seen with aging. More . . . For additional information on procedures currently not listed you may contact our office.